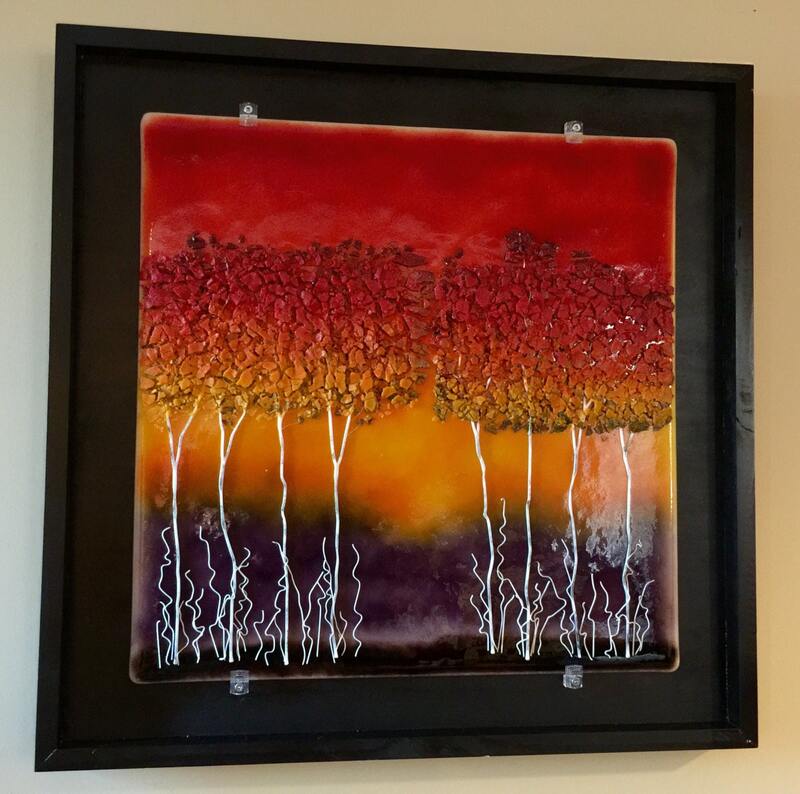 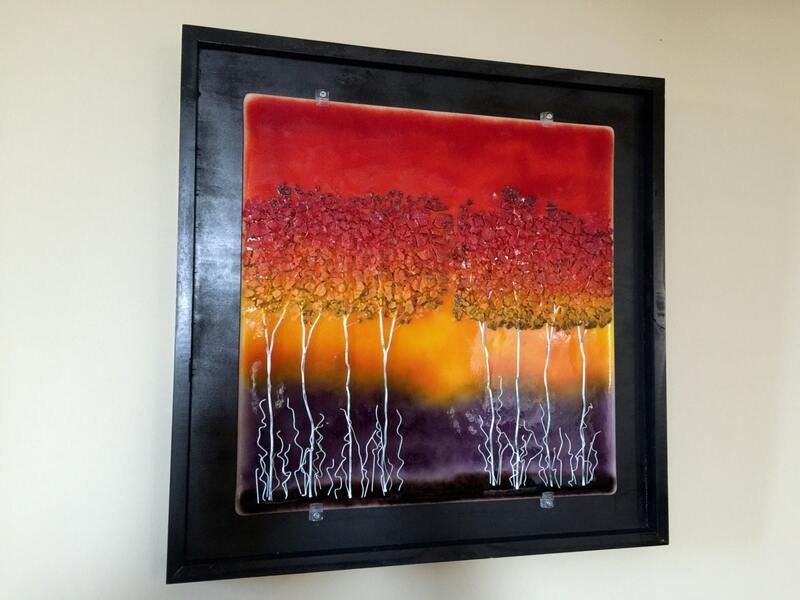 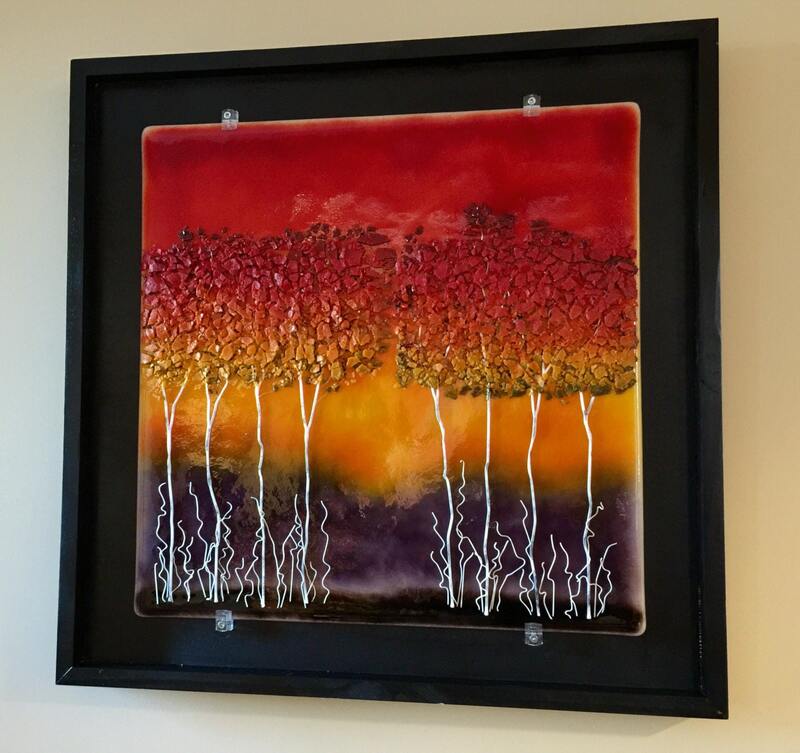 Bring nature inside with this amazing handmade fused glass panel "Sunset"
This beautiful piece of art is measures 20inches x 20inches and with the frame 24inches x 24inches mounted. 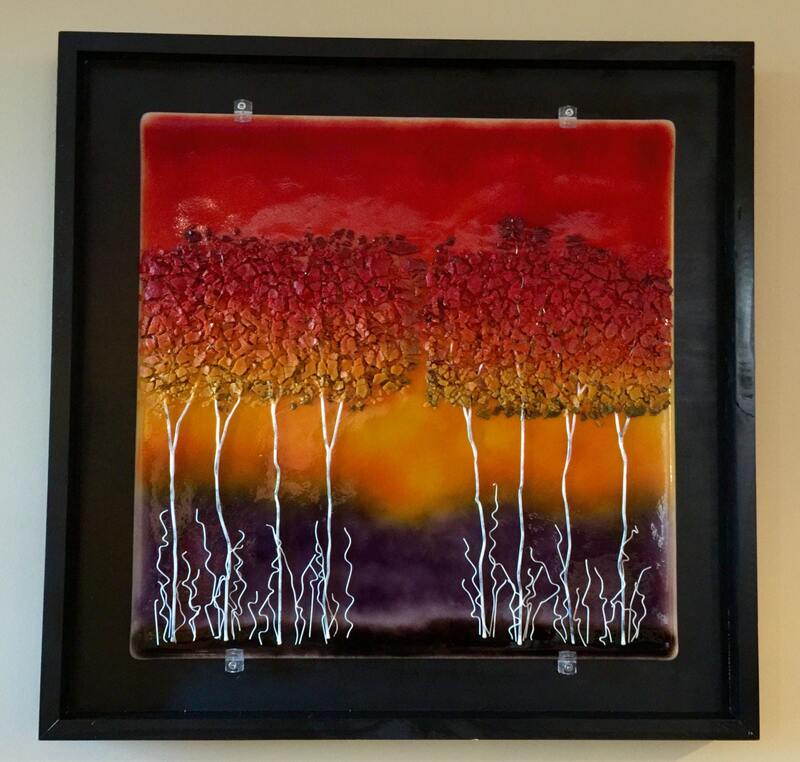 It took almost 200 hours of kiln time to make. 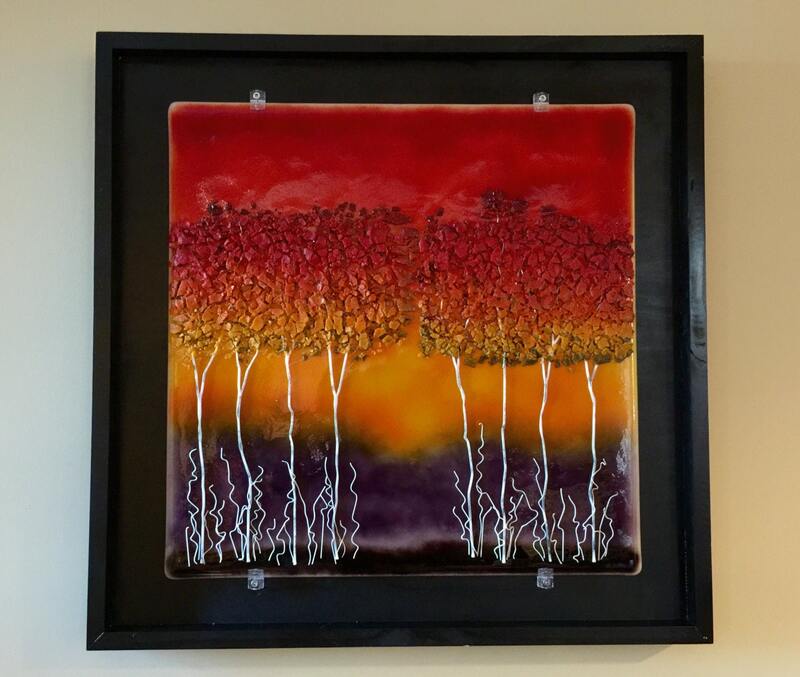 Each layer is made using crushed glass and other fused glass elements giving this piece amazing depth and texture!